Visiting Nandi Hills in Karnataka Refreshes Both The Mind And The Soul. Sometimes life can be too over-bearing, given the competitive lives we lead in the city. We’re all aware of how much it demands from us, and if you live in a city like Bangalore, the work-life balance is even worse. The good thing is, however, that there are a lot of options you can sneak away to, for a relaxing time. On top of the list is Nandi Hills. 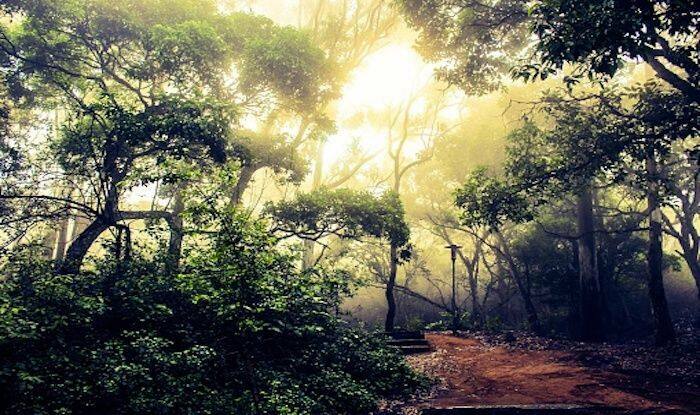 Located about 65 kilometers from Bangalore, it has something for everyone. Whether you’re a photographer, a nature lover or an adrenaline junkie, Nandi Hills guarantees everybody a memorable experience. Remember to visit Amrita Sarovar, or The Lake of Nectar as it’s lovingly called. It is the quintessential water body one would associate Hindu temples with in India. It is the prime source of water in the area, and its beautiful steps often making for stunning photographs. You’ll find yourself engulfed in peace, if nothing else, at Amrita Sarovar. Another spot for solitude seekers is Brahmashram, which is essentially a cave. The sage Ramakrishna Paramahamsa used the cave as an ashram for his meditation. Owing to this, Brahmashram has become one of the symbols of a popular religious site in the region. The natural surrounds and earthy feel make this a perfect spot for experiencing tranquility in all its glory. Nandi Hills is an adventure lover’s paradise; where you can indulge in activities such as cycling to trekking. The hills offer a range of trek routes, all of the varying difficulty levels. For the beginners, there is a simple yet pleasant path, then there are routes for the medium level trekkers and the over enthusiastic trekker as well. The landscape, terrain and the alluring altitude, and of course the lush green surrounds also make it the perfect place for some cycling. If you want to take it a notch higher, you could go for a run of paragliding over the hills and valleys that the area is so famous for. For those with a spiritual bent of mind, the Yoga Nandeeshwara Temple on top of the hill is a must visit. It houses a statue of Nandi, the bull at its door-step. That is how the hill is said to have got its name. The nearest airport is the Kempegowda International Airport, situated about 58 kilometers away from Nandi Hills. From the airport, you can travel by road to Nandi, in about an hour’s time.